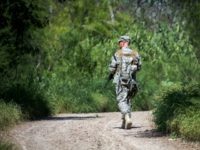 A National Guardsman assigned to assist the Del Rio Border Patrol Sector helped recover a Honduran toddler whose father allegedly kidnapped him before crossing the border illegally into Texas. 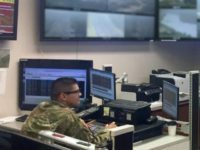 The guardsman is assigned to electronic monitoring of the border as part of Operation Guardian Support. 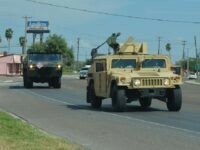 The police chief of a Texas border town says he welcomes the pending arrival of National Guard troops. The chief says the extra boots will be an important asset to his community’s safety. 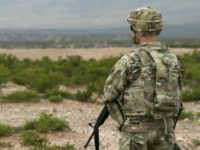 New Mexico Governor Susana Martinez announced she is sending 250 members of her state’s National Guard to the U.S.-Mexico Border. More than 80 are expected to ship out this week. 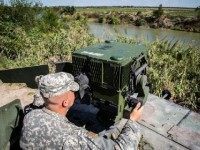 The Trump Administration is providing funding for the Texas National Guard’s efforts to assist in securing the state’s border with Mexico. 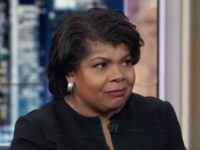 This follows more than three years of the Obama Administration’s refusal to help with any funding for Texas’ border security operations. 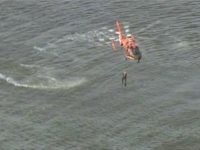 HOUSTON, Texas – Two Texas National Guardsmen were killed in a crash of an AH-64 Apache helicopter in the Houston Ship Channel on Wednesday afternoon. 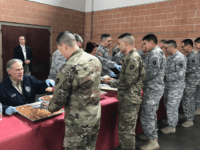 Texas Governor Greg Abbott spoke to Texas National Guardsmen deployed along the border with Mexico in the days leading up to Christmas. He told the Guardsmen that more help for border security is on the way. 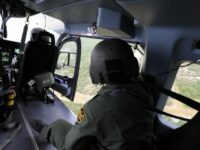 In the closing days of the Obama Administration, the Department of Homeland Security (DHS) has shut down a critical Border aerial surveillance program. 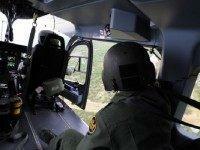 The program is a National Guard program for border surveillance known as Operation Phalanx. 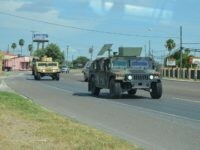 The Texas National Guard recently completed its third “Operation Crackdown” operation in the border town of Laredo. 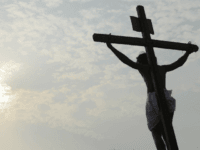 The program provides assistance in clearing out properties proven to be connected to the drug trade. 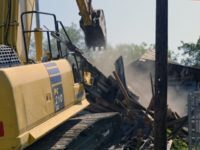 During this two-week operation, members of the TNG Counterdrug Task Force demolished twenty-six structures for the city. 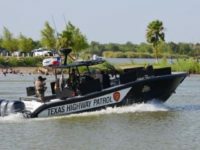 Texas Republican Governor Greg Abbott and Democrat U.S. Representative Henry Cuellar joined forces in a bi-partisan effort to stop President Obama’s administration from cutting border security resources along the U.S./Mexico border. 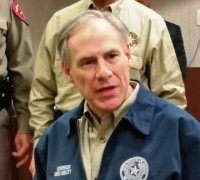 Texas Governor Greg Abbott said he will not sit idle while the federal government allows the flood of illegal alien children and families to flood into the state. 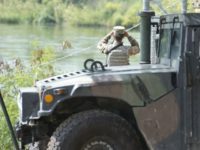 He has ordered the state’s National Guard to remain in place along the Texas-Mexican border. 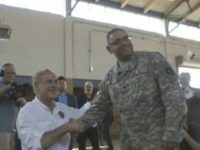 The Texas National Guard and Texas Air National Guard got some new orders from Governor Greg Abbott on Saturday — You are authorized to carry loaded weapons on duty to protect yourself and the facility. Members of the Texas National Guard (TNG) responded quickly to rising flood waters in North Texas after a weekend of predicted severe weather. The Guardsmen used a Blackhawk medical helicopter to lift a pregnant woman and a baby to safety. They then quickly moved to the nearby home of the woman’s grandmother and rescued her on Mother’s Day. 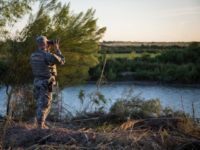 Texas’ top statewide officials are not seeing eye to eye on the critical issue of border security. 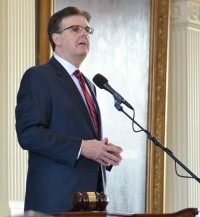 Public statements by Lieutenant Governor Dan Patrick (R) and Speaker of the House Joe Straus (R-San Antonio) seemed to indicate static between the leaders of the two chambers of the Legislature, and Breitbart Texas was unable to confirm if Patrick, Straus, or Governor Greg Abbott had communicated with each other before a press conference held by Patrick on Tuesday at the Capitol. 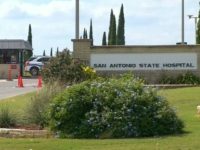 Members of the Texas National Guard deployed to Liberia have opened an Ebola Treatment Unit (ETU) near the town of Buchanan. The soldiers are deployed under Operation United Assistance as part of the 36th Engineer Brigade from Fort Hood, Texas.